At all stages of a doctor's career, professional life can be made more rewarding by improving problems in the healthcare system. While working as a full-time community-based pediatrician, I was fortunate to identify four areas where I was able to make a difference. Formalized Telephone Communications Between Doctors and Patients. 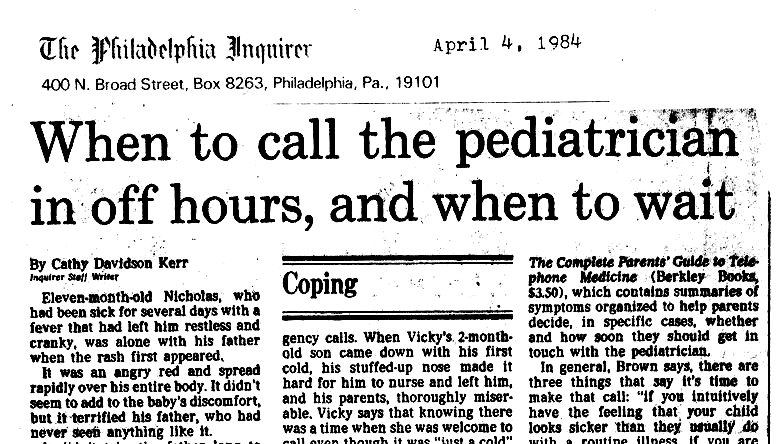 As a young pediatrician, I realized that diagnosing the severity of illness and offering advice to parents over the telephone had never been taught to us during residency training; it was expected that we would learn these skills on-the-job. In addition, we had little formal training on how to treat common every-day maladies. We knew the daily water and electrolyte requirements for a 15 pound child, but couldn't answer, "How many ounces should this child drink at a single feeding?" By writing a manual that focused on the quality of screening questions rather than quantity, practical interventions that could be described in just a few minutes, and how to manage large volumes of telephone calls, physicians and their patients would benefit. This popular manual was later revised and complimentary manuals were written for parents that described common symptoms, warning signs of serious complications, and how best to avoid miscommunication when calling the doctor. 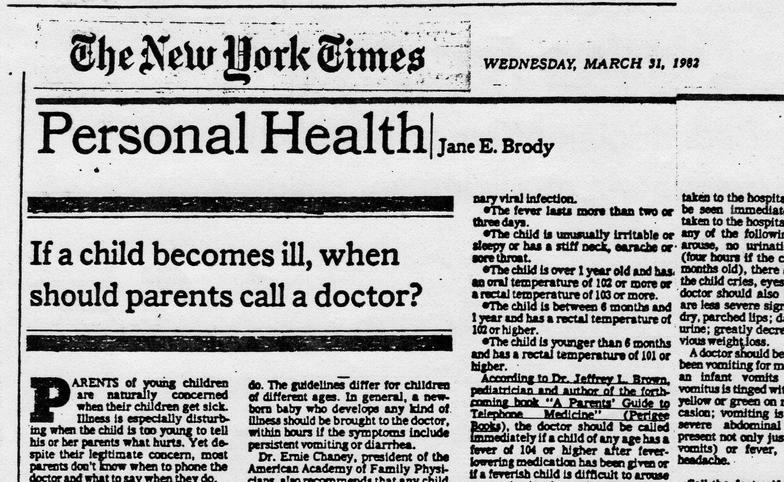 Telephone communication is now taught in primary care residency programs and the manuals for parents were published in trade and paperback books and outlined in parenting magazines. Disclosure of Additives in Pharmaceuticals. My frequent gastrointestinal symptoms worsened after changing brands of a common over-the counter medicine and I suspected that one of its ingredients might be responsible. But when the manufacturer refused to disclose the formulation of their medicine (they said it was a Trade Secret), I was told by the FDA that the "excipients" (the coloring, flavoring, fillers, binders, preservatives, and other "inactive ingredients") did not require labeling unless they were known to be harmful. Unfortunately, this would be difficult to prove if they had not been disclosed to doctors and patients. I then obtained a list of FDA-approved additives by filing a Freedom of Information Act request. This list was published in the New England Journal of Medicine. Surprisingly, it included potentially toxic substances like shellac (used in enteric-coated aspirin) and carbon tetrachloride, as well as sulfites - known allergens that were unlabeled in some asthma medicines and some corticosteroids. This list was publicized in the national media, congressional hearings followed, and the Pharmaceutical Manufacturer's Association agreed to "voluntarily" label these excipients. 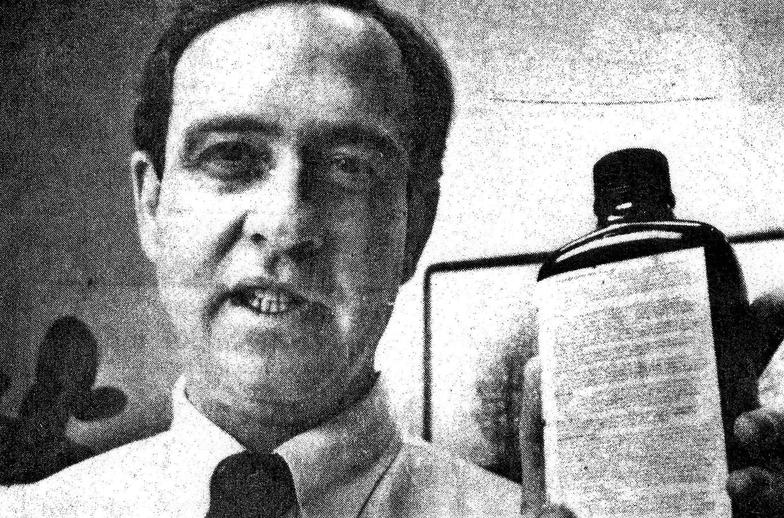 Some pharmaceuticals were reformulated immediately after their formulations became public. 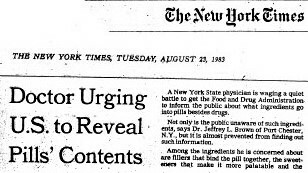 But it took more than ten years before the FDA eventually changed regulations to make the labeling of excipients mandatory. Requiring "Use-By" Dates on Labels of Prescribed Medicines. A patient asked if her child's asthma inhaler was still potent after 15-months and my "yes" answer was just an educated guess. I contacted the FDA and learned that their regulations require expiration dating on a manufacturer's stock bottle of prescription medicine and also on the packaging of nonprescription medicines, but only 20 states required expiration dating on the labels of prescriptions dispensed to consumers. It made little sense that a patient should know when his laxative expires but not his thyroid medicine. So. after publishing a paper that described variability in advice offered by pharmacists, I publicized this issue using national media that included the NY Times and the Today Show. We were not as successful getting uniform labeling requirements in the US as we were in Canada, but most large pharmacy chains now add a "use by" time on the labels of prescription medicines they dispense - often using an arbitrary one-year from the date of purchase. Improving Healthcare for Veterans in a Community Setting. The media and most veterans' advocates focused on lapses in the medical and psychiatric care vets received at the Veterans Administration. But, the 80 percent of veterans who have health insurance and receive their healthcare at community facilities went mostly unnoticed. I wrote an essay published in JAMA that described this problem and noted that many providers do not identify which of their patients served in the military and they do not know which questions would identify service-related problems. Suboptimal care in community settings will become even more acute if the VA outsources services to civilian providers. Without awareness and improved education, there will be missed diagnoses of service-related conditions, incomplete screening for at-risk conditions, and eligible veterans may never receive monetary and medical benefits to which they are entitled. By publicizing this issue, we hope to add military health history to medical school curriculum and electronic health records. The National Board of Medical Examiners' recently included testing questions that pertain to veterans' health.